Rob Allen is a top quality brand and the number one choice of the elite spearo around the globe. 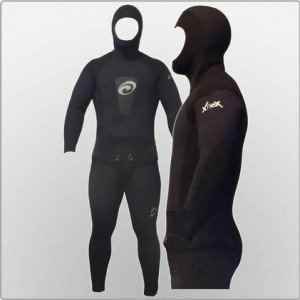 It’s not as cheap as what you will find on the shelfs in your local dive shop but there is no compromise on quality. No other brand holds so many world records and that speaks volumes. Everything from the rubber to the steel is premium, no compromises are ever made. There is next to no kick on any of the models, even the big ones feel silky smooth compared to most other branded counterparts. Basically we stock it because we use on our own trips and adventures. 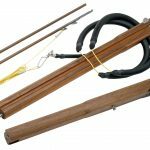 Riffe are considered the pinnacle of the wooden spearguns. Again no compromise is used on choice of rubber, steel in the shaft, or wood used for the gun. These are outstanding hunting tools that are as beautiful as they are deadly. Rob Allen Scorpia – no rail but extremely powerful! Aluminium barrel which is rare on an entry level gun. Exactly the same handle and trigger mechanism as you get on the top of the range models. Shaft is made from the denser springer steel, not the stainless. Single 16mm band, very accurate for a non-rail gun and very powerful. Rob Allen Sparid – Our biggest seller! 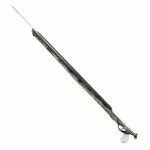 A slightly thicker walled aluminium barrel counter balances the kick of the slightly thicker spear to produce a silky smooth, deep penetrating shot. 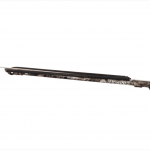 It has welded rail down the entire shaft that delivers world famous accuracy at the outer ranges. 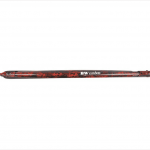 Dipped rubber for max power and matching springer steel shaft makes this an incredible package. Single 16mm band, very powerful and immensely accurate. Rob Allen Tuna – Our second biggest seller! Exactly the same as above except comes with 2 bands and a slightly thicker spear for heavier hitting power. Use one band when around the rocks, pop the second one on when the vis opens up. Great to take abroad if you travel. 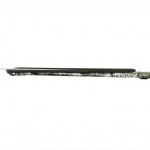 Twin 16mm bands deliver devastating power released from a wielded rail for pinpoint accuracy. 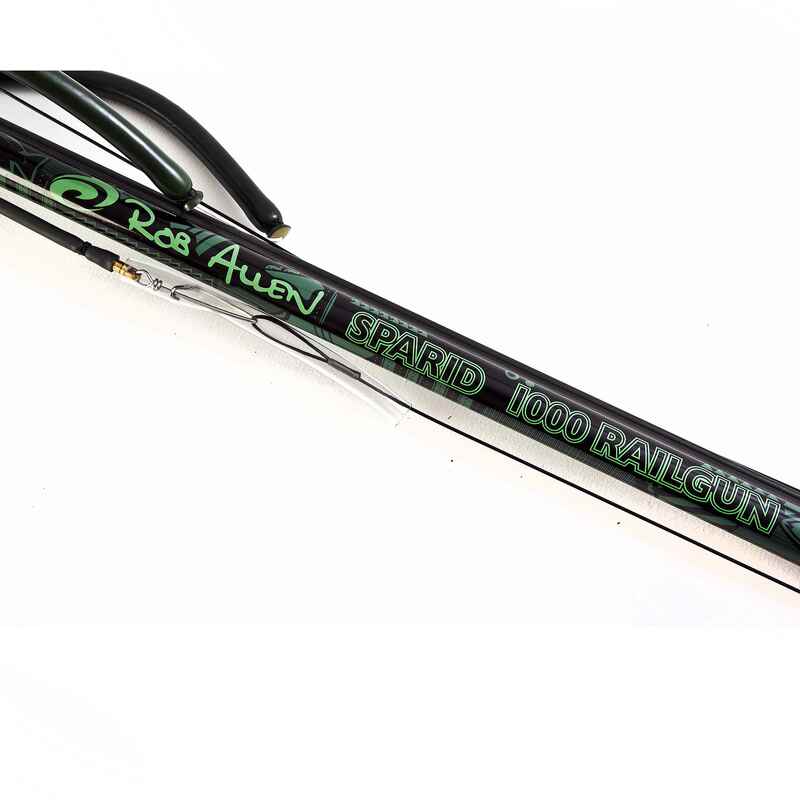 Rob Allen Shanti – exactly the same as Sparid but made from carbon. 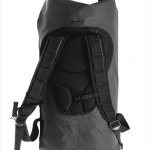 Lighter and easier to move in the water, very strong and 50% stronger than last carbon model. Single band. Rob Allen zulu – Identical to the Tuna. Twin 16mm bands. Represent the pinnacle of the rob Allen range. Some camo version available – the ultimate gun. Riffe Euro – Teak with magnets inserted into the body or swift loading assistance and minimal kick. Grooved rail so you know it’s accurate at long range. Twin 16mm dipped rubber bands for max power delivered through a silky smooth shot. Beautiful yet deadly. Riffe Modular – Exactly the same as the above but breaks down into two for easy transportation abroad. No give or movement when setup, world famous travel gun, literally the best breakdown gun on the market. Combine with the reel if the budget allows for the perfect combo. With so many spearguns on the market surrounded by so much hype, where do you start looking and how do you choose what’s right for you. Which brands are robust, how many bands should I be using, what if I want to go abroad? Below we will try to answer all these questions for you as well as explaining the options you see in the boxes above. 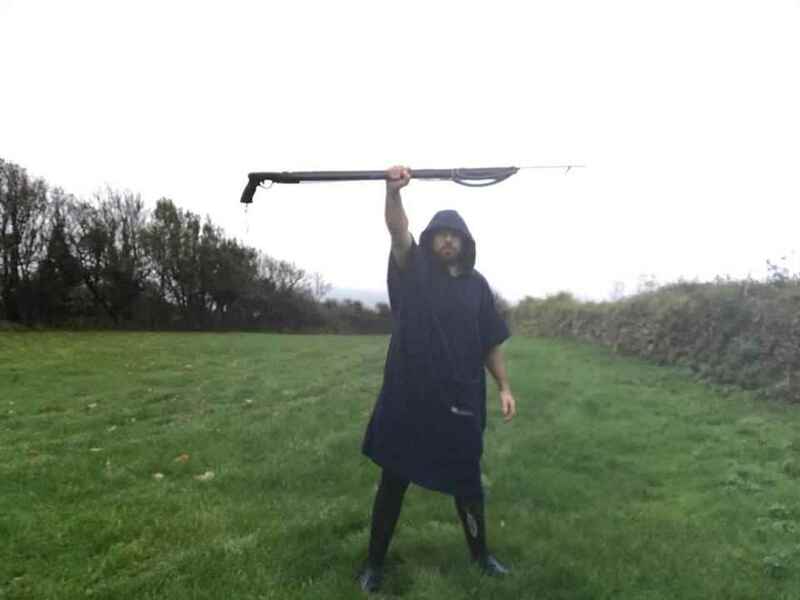 Give us a few minutes of your time and you’ll be speargun guru by the end of it. Feel free to jump to any of the section headers to get to the information you require. 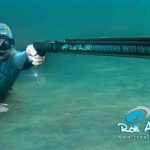 These spearguns are powered by thick rubber bands. The bands are secured at the tip and pulled back on to a notch to load. The rubber is what give the gun its power. Not many people know there are 2 very different types of rubber. One performs much better than the other and we’ll elaborate below. These guns are made out of the following material and have different price brackets. Cheap and cheerful. Nothing wrong with a plastic barrel speargun but it does represent the budget end of the market. These guns will be the cheapest you can find. 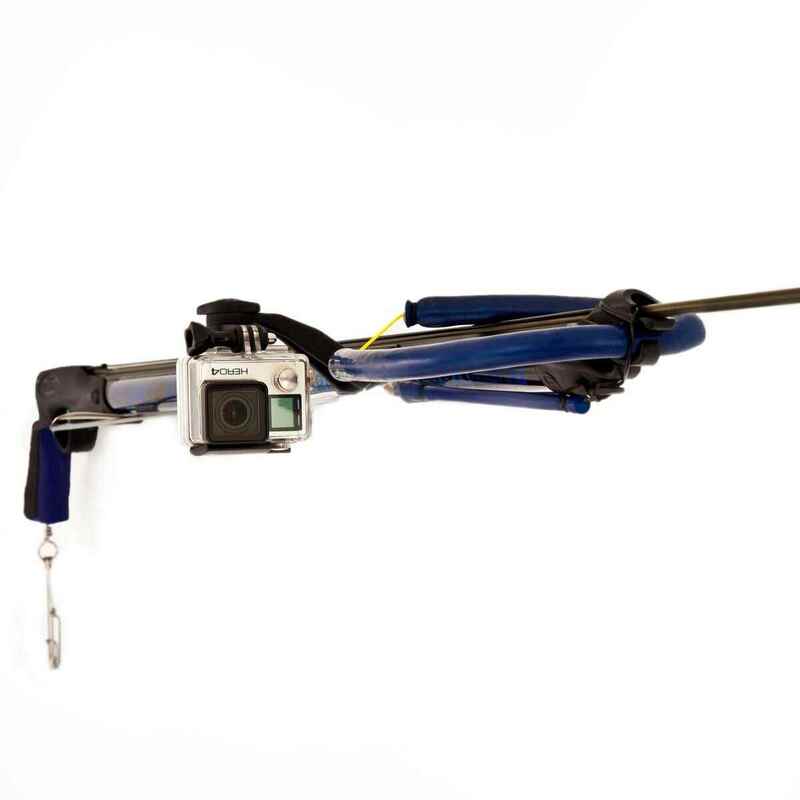 Being a budget speargun you can also expect cheaper trigger mechanisms, cheaper rubber (less power) and basic parts. It will get you going but you will probably be looking to upgrade before too long. Another down side can be that the lightness of the barrel can result in more kick than normal when fired, this is worth bearing in mind as it effects accuracy. We would recommend this as an ideal entry point. This is by far the most popular option and normally represents a safer bet if this is your first gun. 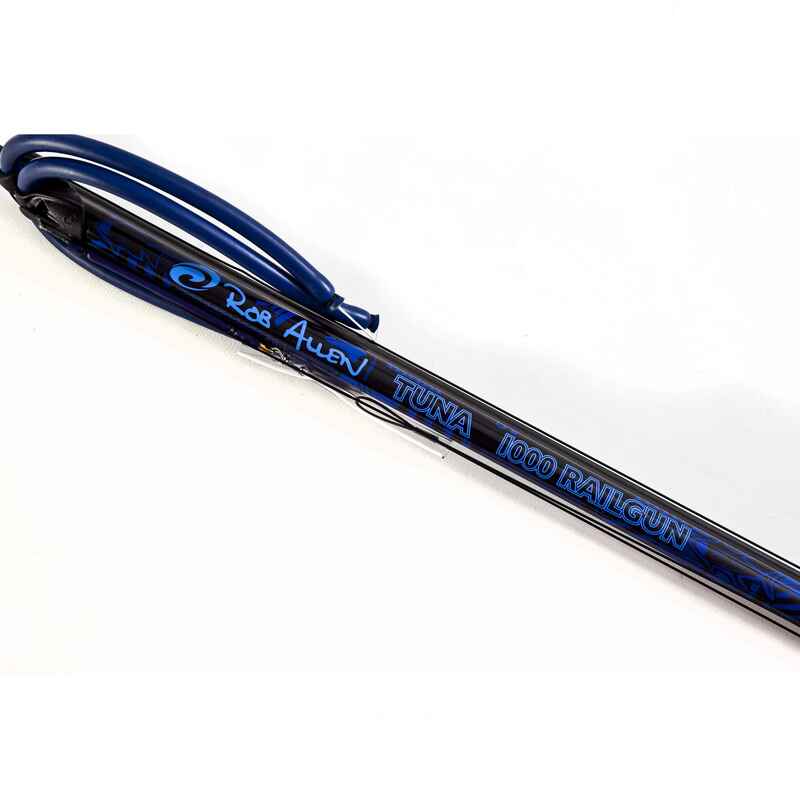 Aluminium spearguns can range from (nearly) budget, to top of the range. Look out for the thickness of the barrel wall as a good indication of quality, some guns can be wafer thin. Generally speaking people consider these mid-range but in reality it’s the ‘go to’ choice of the majority, be it here or abroad. These are probably the heaviest guns in the water however that has the significant advantage of having the least kick back when fired making them very accurate. For some people weight can be an issue with the longer versions like a 160cm that is use for tuna etc. The shorter version used in the UK rarely present this problem. You can often get better quality camouflage finishes as the ink works better on this material. Aluminium guns often have camouflage tape which can come off over time. The downside to carbon is that the lightness can sometime result in more kick. I’ve used some incredibly expensive carbon guns that have nearly broke my wrist when their aluminium counter parts have been silky smooth. Carbon is often favoured for bigger guns to make them more manageable in the water if weight is an issue for the individual. Are you a woody? 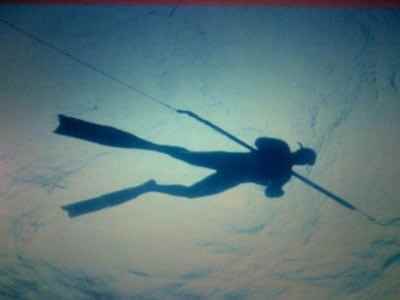 This seems to be the big divide in spearfishing! The wood guys never use traditional barrel guns and vice versa, a bit like marmite. They handle a bit differently in the water and overall they are awesome. Strong, quite heavy yet light in the water due to their buoyancy, but rather expensive because of the materials used, often teak. They really things of beauty so you can understand how they get their own little cult following. Normally fantastic guns and well worth considering if budget allows. You don’t get too many budget offerings here so quite often most wood choices are pretty safe. If you do see a cheap woody, maybe research why it’s cheap as they must have made savings somewhere. 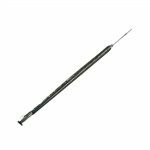 Rails are a grove which runs along the length of the barrel that the spear shaft rests in. Their purpose is to increase accuracy over longer ranges. 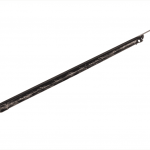 The accuracy problems can occur when the end of the shaft that goes past the tip of the gun barrel slightly sags because of the unsupported weight. You can’t really see this with the naked eye, but the overhanging weight creates a slight ‘arch’ in the spear, which in turn effects the accuracy. A rail prevents this from happening. The problem grows as the gun length grows. Look out for plastic rails that seem to clip in to the barrel, these can ‘shift’ and work loose over time. 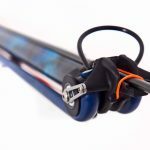 Bands – which rubber is best, is there a difference? One of the biggest knowledge gaps seems to centre on bands. This is an extremely important question as bands after all are the power behind the gun – it’s what it’s all about right. There are 2 types of rubber made from 2 completely different manufacturing processes. Continuous manufacturing method – The budget bands are made from a continuous method like squirting toothpaste out of a tube. There is nothing wrong with it at all but it’s not the best either. Dipping manufacturing method – the other way is to dip the rubber until you get the desired thickness, just like a candle is made. You get the width by adding many layers on top of each other. 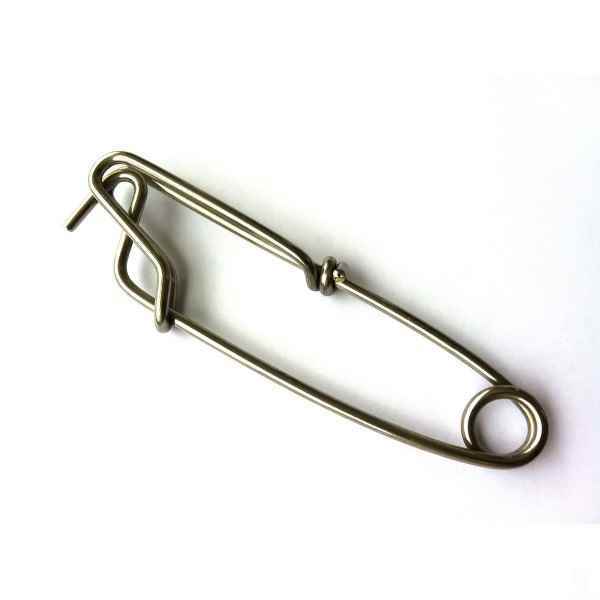 The result is a much more powerful elastic that is more durable. Obvious this takes much more time to create which is why it’s not used by all brands. Brands looking to push a cheaper pricing point need to make savings in areas like these. Many people don’t know what type of bands they have but there is an easy test. If you look at the core, the dipped elastic will have rings exactly like when you see the core of a tree after it has been fell, the other rubber will not. There is nothing wrong with the continuous rubber it’s just not as good, so you need to decide how important power is to you when making your decision. Bands – 1 ,2, 3 or 4? 1 band covers 99% of all situations in the UK and many consider 2 bands to be overkill. We personally have a 2 band gun and use 1 band for when in and around the rocks, then pop the second band on when the vis really opens up. A single band gun is probably the most suitable for the UK however if you want the option of some extra power and range then consider a twin bander. 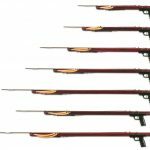 Also if you think you may take your speargun abroad for some bigger game then a twin band gun is ideal, You get far more penetration power that will punch through anything. We use them for second shots on anything from tuna to sailfish. 3 or 4 bands is for hunting bigger fish abroad and is a topic for another post. Roller guns are relatively new on the market and has been the first real advancement for some time. 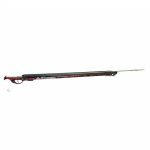 A roller head speargun is extremely powerful with the benefit of being much shorter. 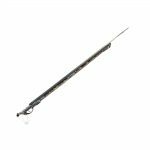 Traditionally these are used on big pelagic fish where a 110cm roller speargun has the same power and range as a 160cm twin band. The downside is they take a bit longer to load and can be a bit of effort. They are generally considered overkill for the UK but some people swear by them. Pneumatic’s are a bit of personal choice and we respect anyone who uses them. The upside is you charge them with air at home so you can easily fire them while you’re diving. The downsides are they can be seen as noisy there is more that can go wrong with them compared to the very simplistic band design. The benefits are that you don’t have to exert energy to load them and they can be very powerful. 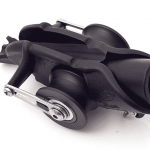 They are most popular with night spearo’s who need a lot of punch in a short gun, these seem to fit well. Aside from that they not often used. Initially they seem like a great idea but in reality they never really took off as a mainstream alternative to the band powered guns. 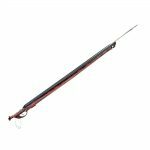 What length speargun do I need for the UK? Most people opt for a 80 or 90cm gun with the preference going towards the 80. The short guns you see at 50 and 60cm are specifically for hunting caves and holes. Anything longer than 90 is generally used in clearer waters abroad. If you are hunting big pelagic fish like wahoo and tuna something around the 160cm mark is often the choice. 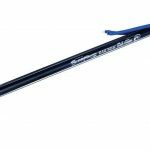 How do I identify a powerful speargun? All the power comes from the type of rubber being used. There are two types of rubber which are very different. If the core gum coloured and has rings like a tree then it’s the most powerful you can get. However if the core doesn’t have rings and is coloured anything other than gum, then it’s the less powerful rubber. Ie if it’s black on the outside and inside, genuine rubber cannot be dyed a colour. 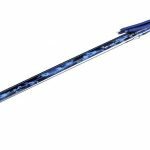 Which speargun is best for travelling? You can take spearguns abroad to most destinations no problem although obviously double check first. Many people take the bands off during transportation to make them look less threatening. Due to the length this does count as an extra bag as you can’t fit it in a suitcase. That is unless you have a Riffe Euro Modular. They completely split in 2, including the spear and can fit in any suitcase. These have become famous because they work so well, no play in the parts when connected, just solid equipment. 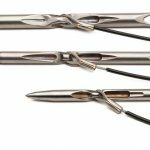 These spearguns are powered by thick rubber bands. The bands are secured at the tip and pulled back on to a notch to load. The rubber is what give the gun its power. Not many people know there are 2 very different types of rubber. 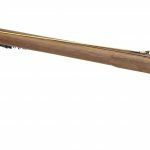 One performs much better than the other and we’ll elaborate below.These guns are made out of the following material and have different price brackets. Continuous manufacturing method - The budget bands are made from a continuous method like squirting toothpaste out of a tube. There is nothing wrong with it at all but it’s not the best either. Pneumatic's are a bit of personal choice and we respect anyone who uses them. The upside is you charge them with air at home so you can easily fire them while you’re diving. The downsides are they can be seen as noisy there is more that can go wrong with them compared to the very simplistic band design.